Construction zones are daily hazard for drivers in the Miami area. While no one enjoys being stuck in traffic caused by roadwork, these projects improve the highways and will (eventually) make everyone’s commute easier. Each year, over 600 people are killed in work zone construction accidents across the country while hundreds more are injured. According to the Federal Highway Administration, there were nearly 100,000 construction zone accidents in 2015, an increase of nearly 7% from previous years. While these numbers are down from a record high of 1,095 deaths a decade ago, there are still a significant number of people being injured or killed in work zones. If you were injured by a car accident in a work area, the Miami construction zone car accident attorneys at Gerson & Schwartz can help. Most work zone accidents occur because drivers are not paying attention to the changing conditions. Excessive speed and bumper-to-bumper traffic can make drivers impatient or angry, and they may not drive as safely as the work zone requires. In comparison to non-work zone accidents, most accidents in construction zones are attributable to driver distraction. For example, on roadways without construction zones, only 16% of fatal accidents are caused by rear-end accidents. In construction zones, the percentage of fatal accidents caused by one driver rear-ending another skyrockets to 41%. Additionally, excessive speed is also a factor in nearly a third of work zone accidents. Drivers who are speeding through these areas are traveling too fast to avoid hazards in the road, slowed motorists, or workers in the roadway, often with tragic consequences. The most important thing drivers can do to avoid construction zone car accidents is to slow down and follow the signs and flaggers directing traffic. Drivers should watch for heavy equipment backing into the roadway, and should expect other drivers to slow down or stop with little warning. Finally, drivers should never try to drive around or through a construction zone to save time. Even if a lane looks like it is clear, do not try to bypass the construction. Hundreds of construction workers are injured or killed every year when impatient drivers enter the construction zone in an attempt to save time. If you were injured in a construction zone car accident, or if you are a construction worker who was injured by a careless or reckless driver, you have important rights to protect. As soon as possible after you were hurt, contact an experienced personal injury attorney. Construction site car accidents can have many causes. Some are caused by a driver’s negligent behavior. Others may be caused because the site was not appropriately marked or because drivers weren’t sufficiently warned about the impending hazard. Whatever the cause, it is likely that anyone injured in a construction zone will be contacted by an insurance company soon after the accident. If the construction company was to blame for the accident, the insurance company may seek to limit liability by pushing you into a quick settlement. 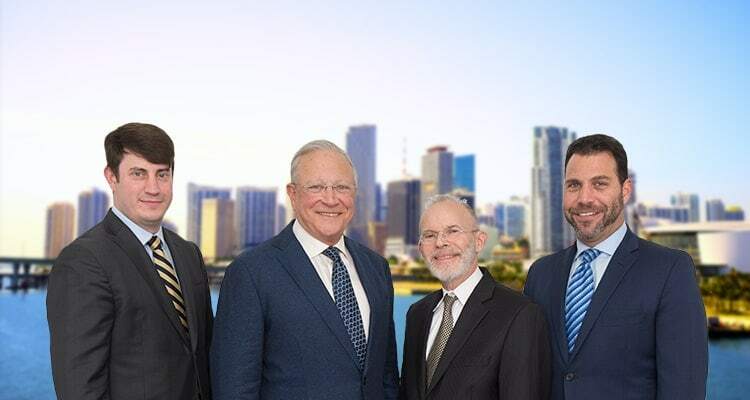 Before you negotiate with an insurance company or sign any documents, make sure you speak with a Miami construction zone car accident lawyer who understands the law and your rights to compensation. If you were injured in a construction zone because of someone else’s negligence, whether while driving or while working on the road, the injury attorneys at Gerson & Schwartz are here for you. To schedule your free consultation today and learn more about your rights after an accident, call (877) 475-2905.